For over 40 years, the focus of the U of L Faculty of Education continues to be preparing teachers of excellence. Our nationally-recognized program leads you to teacher certification and qualifies you to teach in K-12 classrooms (both elementary and secondary). In addition to on-campus classes you will receive 27-weeks of practical classroom experience in a broad range of schools including urban and rural settings. 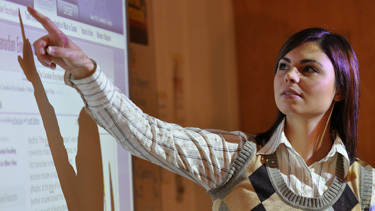 The practicum program culminates in a 15-week full semester teaching internship. You will have the option of completing this portion of the program in an international setting. Our faculty and staff are committed to helping you achieve your full potential. Don't forget our Education Resources!